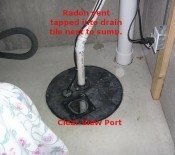 Radon Sump Mitigation = Very Effective. After testing and finding out I had a radon problem, I decided to tackle the mitigation myself. Val's website has all the info you need to complete the job and save some cash. In my basement area (aprox 800sq ft) I had a sump pump with the old Pac-man style lid. No doubt it was a major entry source for radon. I also had a decent sized gap all along the area where the basement slab meets the poured walls. Another source of entry. Lastly, my huge crawl space (aprox 2500sq ft) has a vapor barrier but it is not sealed. I'm glad to report I did not need to seal and vent the crawl space also because after completing the above work, my level fell to 1.6! Best of all, I saved approximately $400 by doing the work myself. 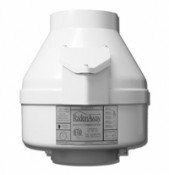 Comments for Radon Sump Mitigation = Very Effective. I've searching the internet everywhere for an answer to our problem and happened onto your story. I was wondering if you could tell me how you dealt with the gap between your floor and wall. It sounds like we have a similar setup in our basement - we have a sump pump/pit along with a 1 inch gap all along the interior perimeter of the basement. BUT half of it is behind finished walls, so I'm just worried we won't be able to mitigate if we can't reach that. Anyhow, if you get this, I'm curious to know your thoughts.